J.C. Penney's experiment with “fair and square” pricing that eliminates all deals, offers, sales, and pamphlets in the Sunday paper is bold, and exceptionally risky. Yet, after over a year of attempting to make the grand experiment work, we’re comfortable saying that J.C. Penney has failed. They've failed so much that we're comfortable calling them the biggest pricing failure of 2012, especially since revenue has only rebounded when returning to the traditional retail promotion strategy. This isn’t to say the strategy doesn’t have merits, and can’t work, but in its current iteration and with constant board and market influences, we find it hard to believe that the historic retailer will be able to sustain the fair and square pricing strategy.Let’s explore why the experiment failed before, most importantly, relaying to you the lessons you can learn in your pricing strategy. At the foundation, pricing is the exchange rate for the value you’re providing, an intermediary between what you’ve produced and what your customer is willing to pay. That’s why we harp on the idea that pricing is one of the most (if not the most) important aspect of your business. Not only does a 1% improvement in price optimization result in an average boost of 11% in profit, but everything you do, from marketing to product to sales, works to buttress that illustrious number you’re assigning to your product. I’m atop the pricing soapbox for the moment, because although the concept and implications of proper price optimization are clear, the process can be quite complicated. That exchange rate you’ve created can be riddled with different tactics, especially in a retail environment. After all, we’ve all fallen prey to the “20% off for this weekend only” sales at least once before, if not many times. In fact, these tactics are almost necessary to create the sense of urgency required to move a target consumer to purchase that much needed winter coat in the middle of summer. We spoke extensively about this topic when we initially chronicled JC Penney’s saga, but to recap, traditional retailers use a combination of promotional pricing, fake pricing, and price anchoring to form a comprehensive psychological pricing strategy that creates a pricing trigger to minimize the sales cycle significantly. Consumers armed with a sense of urgency resonating from $10 off a purchase of $50 or more, can’t help but flock to the cash register. They feel as if they’re winning something, as the perceived value of the product is still high, but they’re only getting the deal, because Macy’s thinks they’re so special. In reality, no consumer is actually that special, because these sales never truly end. Almost no one ever pays full price. That being said, it’s kind of obvious where JC Penney went wrong, right? They completely destroyed over a century’s worth of price conditiong consumers have grown to love with department stores, retail, and pricing in general. Of course, newly minted CEO Ron Johnson wasn’t completely off his rocker. Consumers are becoming more weary of sales and promotions with the informational access the Internet warrants them and more “premium retailers” who never budge on price like Lululemon and Apple as context. Yet, assuming that decades of psychological thrills stemming from getting the best bargain could be overturned in a consumer base so accustomed to the traditional retail practices is a bit short-sighted. Remember though, hindsight is 20/20, and we strongly believe there will be more retailers defending their price points and boosting value on the merits of their products and service in the future. Yet, existing companies will need slow roll outs of this strategy to be successful and re-train their customer base. J.C. Penney is a giant company that tried to be nimble like a business with a much more forgiving and loyal base. Here are some tips for you, whether you’re big or small, to make sure you’re pricing correctly and moving the revenue needle in the right direction. 1. You must understand your customer’s motivations. If they love getting the weekly ads, coupons, and promotions, then keep up the promotion cycle, only weaning them off slowly if you’re trying to retool your brand. If they know the strike-out price on your website is utter BS, then don’t patronize them with one. 2. Experiment with your pricing strategy. 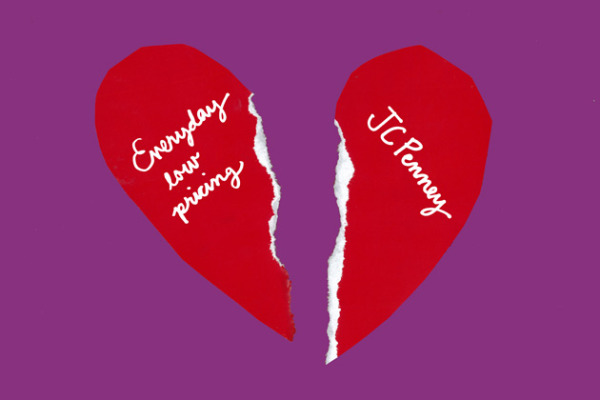 Don’t take J.C. Penney’s failure and abandonment of a bold move as an indication that you need to have one perfect pricing strategy from the beginning. Experimentation is key to the pricing process as your value ebbs and flows in the eyes of your customers over time. 3. Communication and pricing are two puzzle pieces that must link. Years of conditioning and advertising created the modern day J.C. Penney customer. 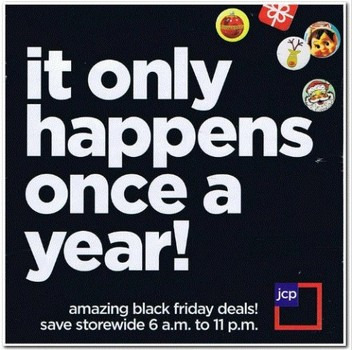 J.C. Penney tried to unravel this psychological fixation with heavy advertising, but their implementation was confusing and encompassed all of their products. If you’re making price adjustments, make sure you bring your customers along.